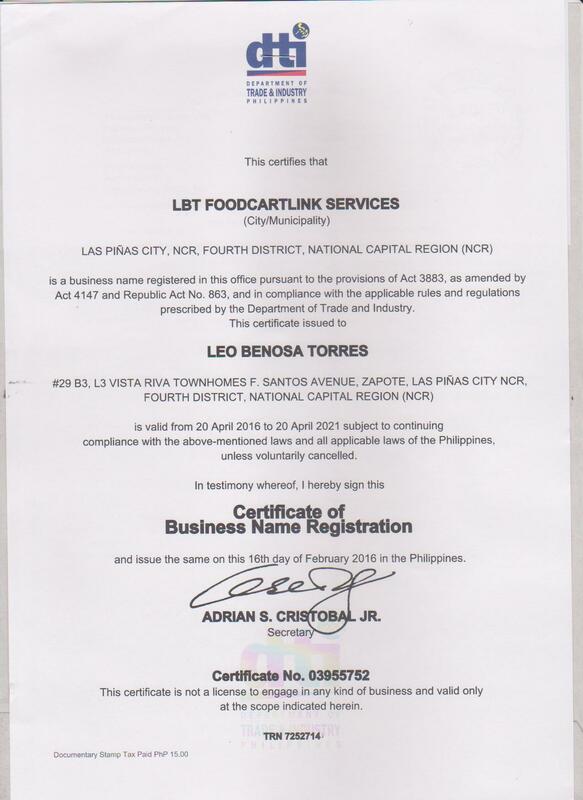 LBT FoodcartLink Services (LFS) offers turn-key business package to people who are looking for affordable foodcart concepts. The mission is to introduce not only popular food concepts but affordable prices too to aspiring and start-up entrepreneurs. Most food concepts listed here are the ones that are appealing to the masses taste-wise and price-wise. 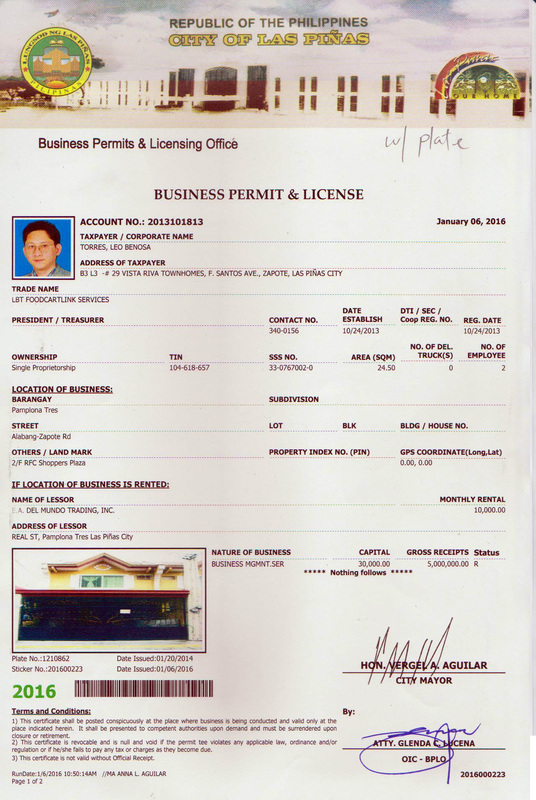 LFS is a young but efficient and dynamic company with valid business registrations and permits. The founder is already in the foodcart industry specializing in sales and marketing both online and offline since 2006. To date, we already delivered close to a thousand foodcart concepts to different clients nationwide. Our policy is to be honest and transparent in every transactions. Our mission is to help aspiring entrepreneur who wants to venture into the profitable foodcart business with the least possible capital, and the easiest operation. Our vision is to change the Filipino perspective and orientation from a mere employee to being a business minded individuals. From an ordinary worker to a promising businessman. From an underling to a big boss! Leave all the trouble to us! How many sales crew you need and their salary? It is our major policy to be as transparent as possible when dealing with our clients. This is an honest-to-goodness offer, no hype or false promises. We don’t charge renewal fees, royalty fees, or any recurring fees. One time payment only. You can start your foodcart business in 2 weeks or less, provided that your location is ready. We don’t have product restrictions. You can put various products inside the cart. We will refer you to our trusted suppliers to outsource your products.